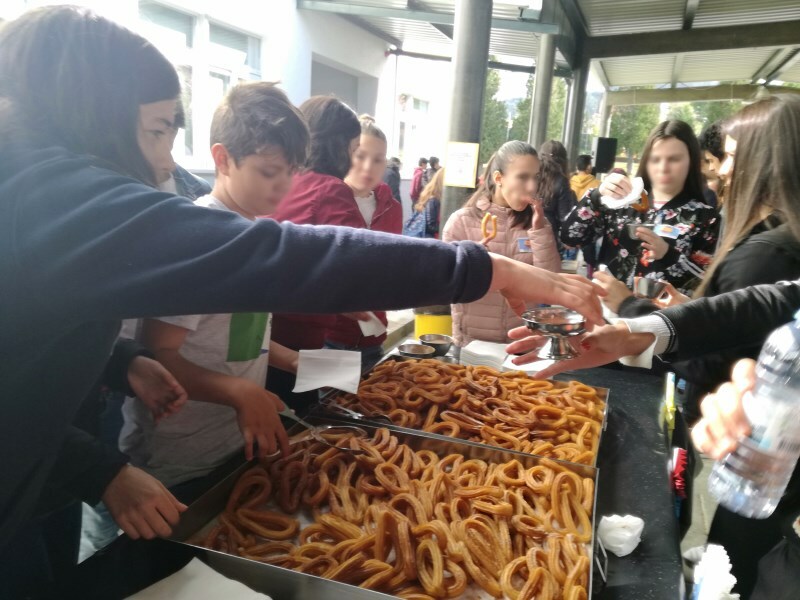 On the 3rd April, we had an activity to celebrate the cultural week and also the book fair that started on Monday and ends on Friday. 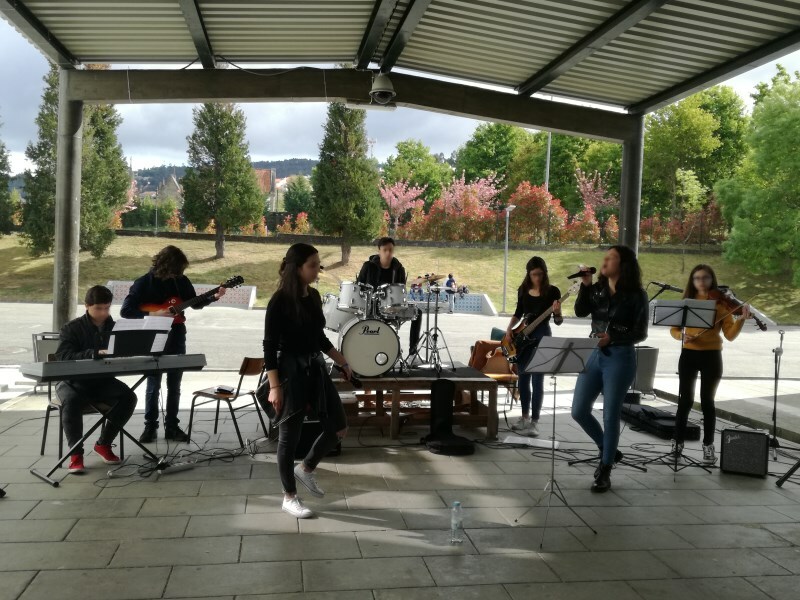 During the morning break of that day we had the opportunity to see and be marvelled by some very talented students, Inês Ribeiro, Sabrina Moreira, Andreia Pereira, Maria Pires singing and accompanied by Tiago Rodrigues on the piano, Mariana Soares on the bass guitar, Miguel Enes on the electric guitar, Francisco Vilarinho on the drums, Rita Caldas on the violin and Sara Santos playing the drums solo. 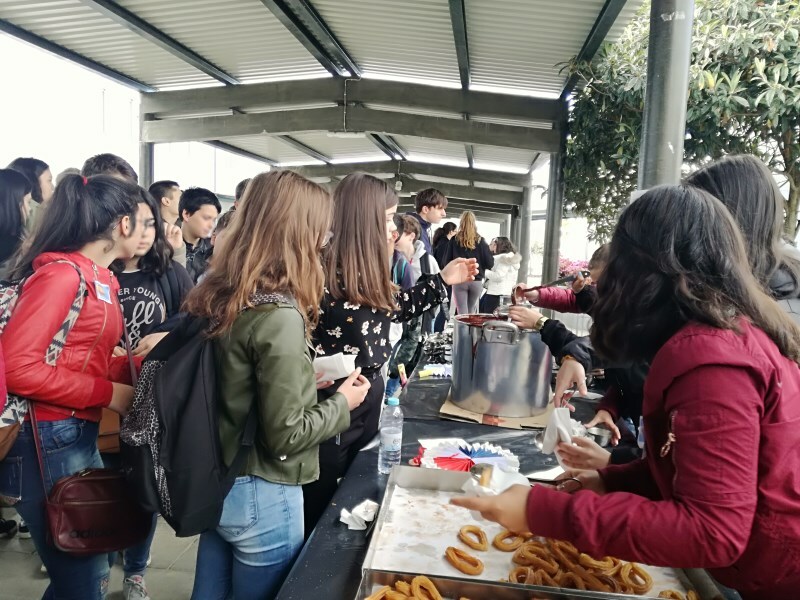 It was a magical moment that united the students a bit more and whilst the musicians were performing, some other students (Spanish) were giving out churros and hot chocolate! 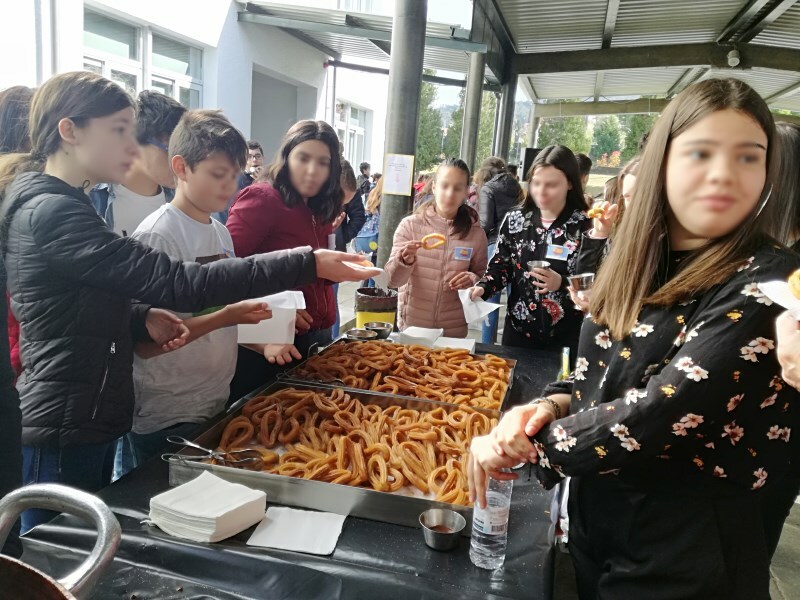 In our opinion this week was motivational and showed some of the many talented students of our school who provided everyone with good moments and a different activity that we normally don´t have during the school year!